Fourth time around, it cannot be a coincidence, for sure. My wife and I are now very certain of one thing: if there’s one tourist spot in America where more Indians frequent than any ‘Little India’ area in the United States, it’s Niagara Falls – the home of three majestic waterfalls spanning the boundaries of the United States and Canada, beautiful gardens and verdant vistas, with quaint, tiny islands one can cross by foot over bridges, strong riptides lapping at edges. Last week was my fourth visit to Niagara Falls in 17 years: the first time was with my girlfriend, when we were both graduate students in New York; then again after she and I got married, once when my parents visited from New Delhi, and my wife and I accompanied them; and now, with the kids and my wife in tow. Back in February I posted about some For Sale signs on the Empress Inn on Clark Avenue. Then a month ago I mentioned how some new signs went up. I never did see a Sold sign, so I don’t know if there are new owners or not. 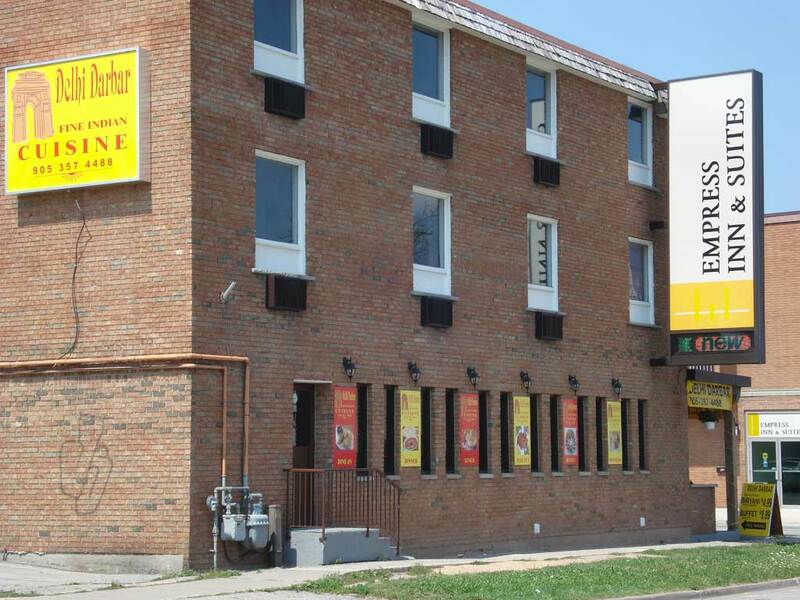 Regardless, the hotel is now called Empress Inn & Suites, and has an Indian restaurant called Delhi Darbar. Words can not describe the joy of just being in a place like the Niagara Falls. You have to be there to experience it. I will do my best to take you through some breath-taking views.